Combine lazy days aboard a river cruiser with excursions on our Black Forest River Cruise tour. Treasures include Rudesheim, home to the dungeon-like Middle Ages Torture Museum as well as the buzzing Drosselgasse street with its music taverns. Heidelberg is a university city with an enchanting old town and a magnificent castle whilst the spa town of Baden Baden has a funicular railway that climbs Mount Merkur giving stunning views. A holiday highlight is Freiburg, Germany’s southernmost town where landmarks include the ornate sixteenth century Merchants Hall and the mighty Minster of Our Lady, a stunning church set within the sprawling Munsterplatz. We make our way to Cologne to board Prinses Christina. Our cruise begins through the Rhine Gorge to reach the popular resort of Rudesheim. Today we make a stop at Mannheim where we include an excursion to the university city of Heidelberg, rejoining the ship at Speyer. This morning we cruise to Rasstadt where the Rhine reaches the border between France and Germany. The afternoon brings a coach excursion to the beautiful Black Forest, visiting the pretty town of Baden-Baden then following the famous Schwarzwald Hochstrasse to Freudenstadt. We rejoin the ship in Strasbourg. 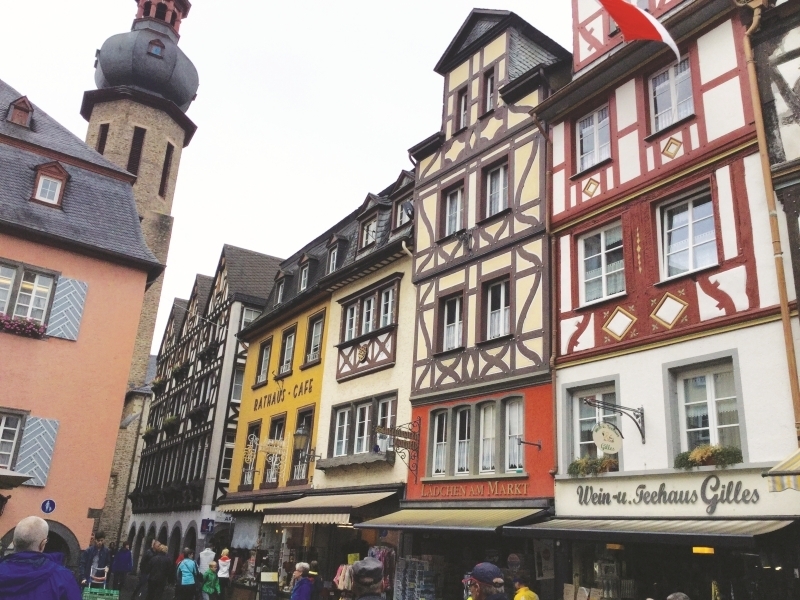 A morning excursion by coach to Freiburg giving you the afternoon to enjoy free time in Strasbourg. Today we have a full day cruising North to Mainz, arriving late evening. We cruise downriver on the Rhine back to Cologne passing Rudesheim, in the Loreley Valley, Koblenz and Bonn. We bid farewell to Prinses Christina and head to our overnight ferry back to Newcastle with dinner, entertainment and breakfast. From Newcastle make our way home.